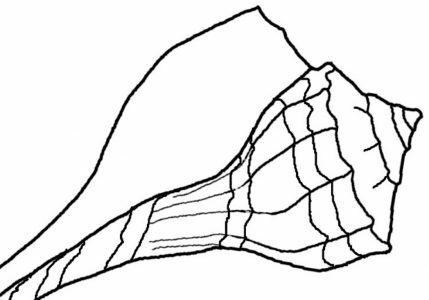 The trocus, or trochus, (I’ve seen it spelled both ways) is a saltwater snail. I only have one of these shells, but it is very unique both in it’s coloring and shape. The top is silvery gray with red stripes covering the band at the bottom. 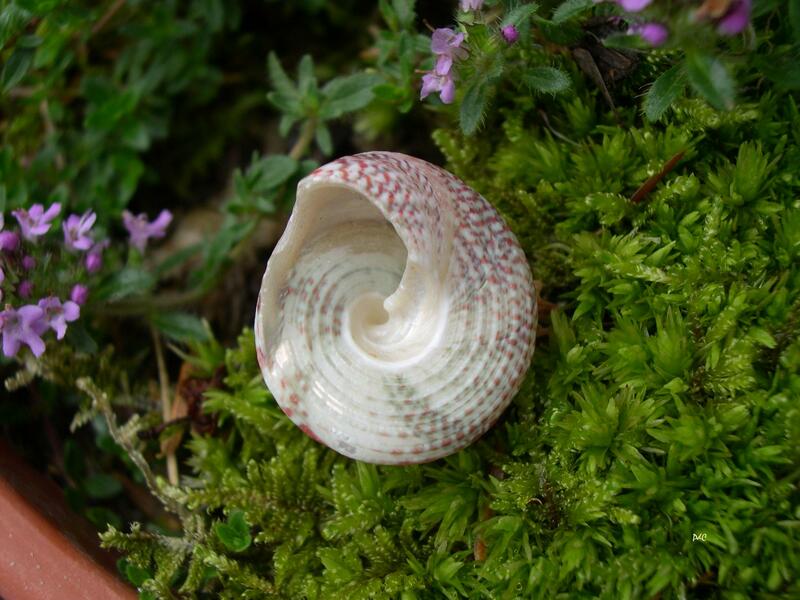 In fact they are commonly referred to as “top snails” because they are shaped like old-fashioned tops (spinning toys). I’ve seen them used as Christmas ornaments because of their “tree like” shape. 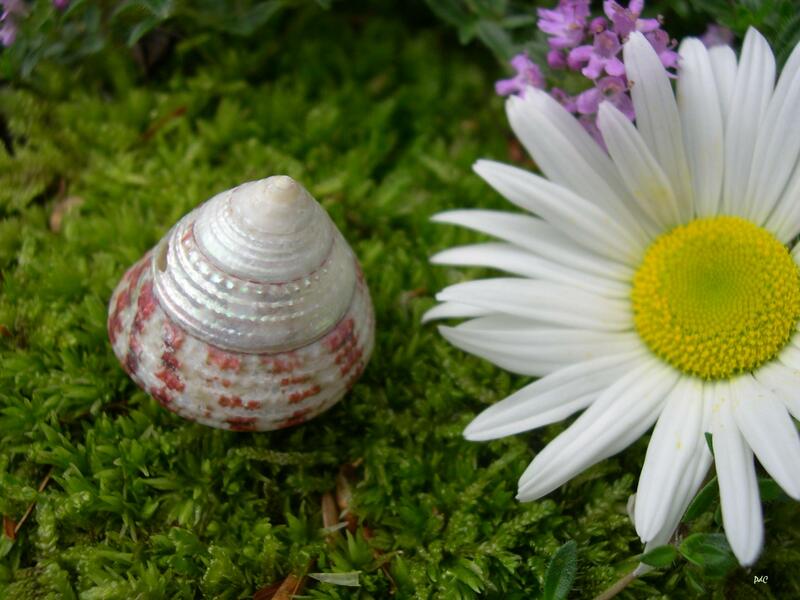 See a “pearlized” trochus shell for sale. I don’t know for sure how they “pearlize” the shell but large shells of this species are used to make mother-of-pearl buttons.